Overview… horse rancher in the frontier town of Shinbone. There aren’t many wife-caliber women in town, save Hallie Ericson. She’s the one for Tom. He’s a regular at the saloon, along with the rest of the alcoholics who constitute the men of Shinbone. 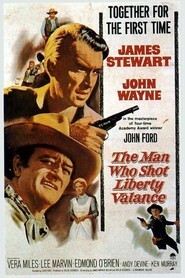 Tom is highly respected by his peers, because of the laid-back cut of his jib, and because he may be the only man willing to stand up to the violent outlaw Liberty Valance. Tom Doniphon's popularity ranking on CharacTour is #4856 out of 5,000+ characters. See our top-ranked characters and read their profiles.